Known for its striking beaches and its relaxed vibe, Lefkada (or Lefkas) is one of the Ionian islands, just off of the Epirus region on the mainland. In fact, the island is connected to the mainland through a bridge, which makes it a convenient destination for families or large groups of friends. Apart from its splendid beaches and remarkable landscapes, the island has plenty of activities for all ages. Here are some of the best things to do and see on the beautiful island. 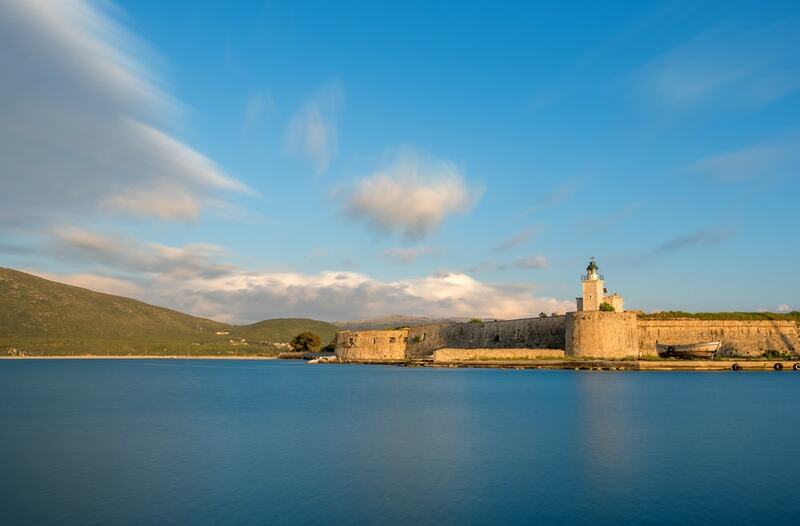 Located near the entrance of the island, the Castle of Agia Mavra (Santa Maura) was built in the 14th century by the Frank to protect the island’s capital from potential invasions. Throughout the centuries, the castle has undergone several renovations, notably by the Venetians in the 15th century and it is now in a well-preserved state. Within the fortress, visitors can admire the beautiful Church of Agia Mavra. Lefkada counts many impressive beaches and coves where you can relax and swim in turquoise waters. Of particular beauty are Egremni, Kathisma and Porto Katsiki, though the latter strongly suffered from the 2015 earthquake. Accessible by boat or car, these beaches, especially Porto Katsiki, are simply breathtaking and definitely worth the trouble. But there are many more shores to see, such as Agios Ioannis, Agios Nikitas, Mylos, Vassiliki, Skala Gialou, Nidri or Pefkoulia. You won’t be disappointed, whichever you choose! 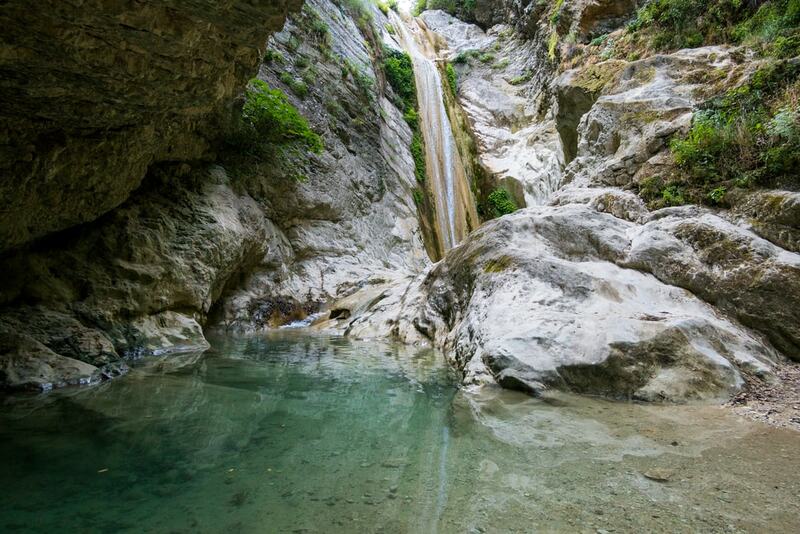 Situated near the village of Nidri, the Dimossari Waterfalls (also known as Nidri Waterfalls) is a little paradise of greenery, perfect for refreshing dips on those hot summer days. Oozing tranquillity and serenity, this waterfall ends in a lake with spectacular rocks. You can easily reach it from Nidri by following the signs and by walking through the gorge for roughly 30 minutes before reaching the cascading waters. It’s well worth the trouble – trust us! Right above Agios Ioannis beach, in the northern part of the island, the small Church of Agios Ioannis Antzoussis was built on a rock. The tiny whitewashed chapel is actually the oldest church in Lefkada and dates back to the 16th century. Built where an ancient church once stood, the Church of Agios Ioannis Antzoussis has a prestigious reputation as it is thought that Apostle Paul preached here in the 1st century AD. The church counts rare Byzantine icons, and even though it is not used for masses, it is open to visitors. 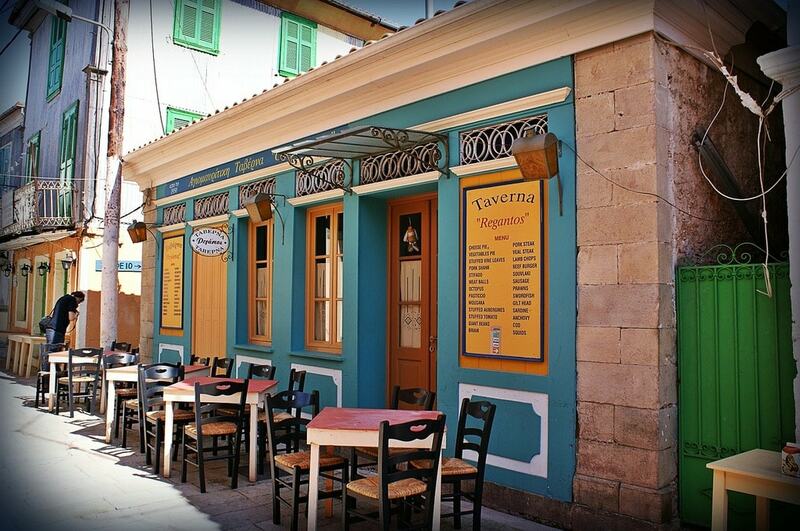 The capital of Lefkada is home to a colourful mosaic of buildings, two-storied houses, churches and cobbled streets. When you arrive on the island, the first stop bears the marks of the strong earthquakes that shook its shores in 1867 and in 1948, nearly destroying the entire island. As such, the new constructions, covered with coloured sheets of metal, offer an interesting aspect. Cheerful and welcoming, the town includes a small harbour and a marina lined with restaurants, cafés and bars, but it also includes a few squares where you can relax at one of the many cafés. Not only is it all fun and games in Lefkada, but you can also get some culture at a few of the museums located on the island, such as the Archaeological Museum. The museum, located along the waterfront within the cultural centre, holds a collection of findings dating back to the Paleolithic era to the late Roman period. One of the rooms is dedicated to the findings of the famous archaeologist, William Dorpfeld, responsible for the many excavations on the island. Adrenaline seekers, Lefkada is an excellent place for windsurfing and paragliding. In fact, the beach of Vassiliki, south of Nidri, is considered the best windsurfing spot in Europe. The conditions are ideal in the morning, especially for beginners, as the wind gets stronger as the day progresses. Paragliding is equally popular in Lefkada, and if you are a little daredevil, it is an amazing experience. Several companies offer paragliding flights on the island, which is an excellent way to admire the breathtaking landscape of Lefkada. 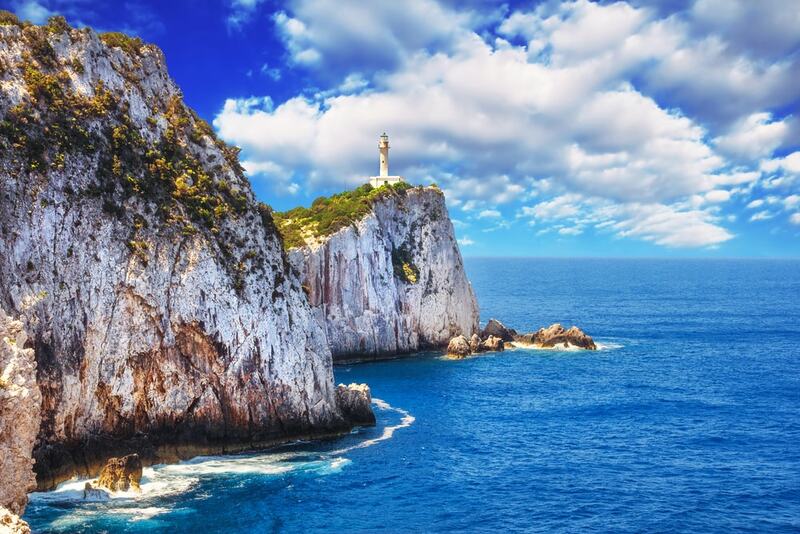 Located in Cape Lefkatas, on the southwestern tip of the island, the lighthouse stands tall on steep rocks and visitors are always in awe of the sight. At sunset, the sky colours the sea with reddish hues, which makes for a fantastic view. Legend has it that poet Sappho jumped from the cliffs after being rejected by Phaon. While you are there, check out the ruins of the Temple of Apollo that used to stand there, though now, all that is left are some stones. In case you didn’t know, Lefkada is known for its wines and you should definitely take advantage of them. The Lefkaditiki Gi Winery, located outside of Nidri, is open to the public and offers tours of the vineyard. You can learn a bit about the local grape varieties and about their specific wine-producing processes. Don’t forget to stock up on bottles for your cellar at home. Lefkada is surrounded by several islands that are definitely worth the visit. Whether you want to find peace and relaxation on Meganisi, explore Ithaki, Odysseus’ homeland or discover the harbour town of Fiskardo in Kefalonia, you will find countless boat trips to the nearby shores. Seriously, it is impossible to be bored in Lefkada.